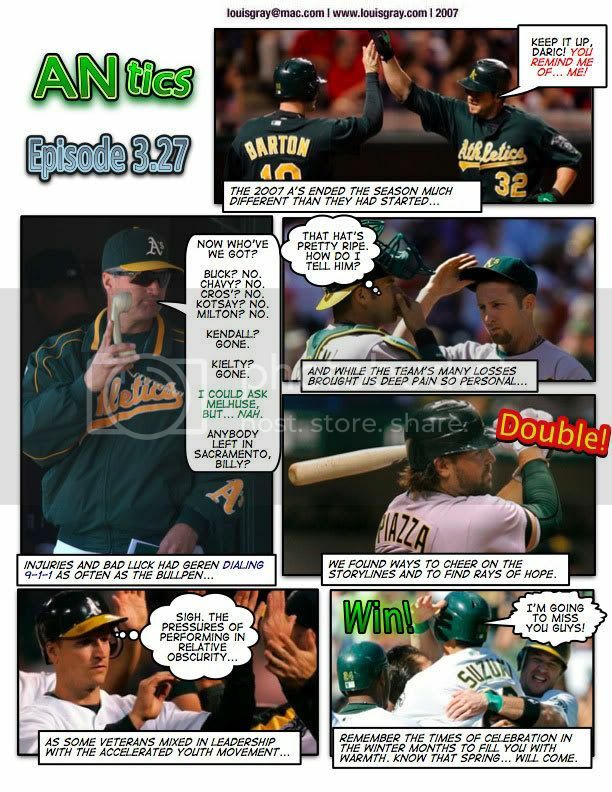 By the end of 2007, the A's heroes weren't guys named Crosby, Chavez, Kendall and Kotsay. Instead, a ragtag bunch, including Suzuki, Barton, Cust, and Hannahan, helped the A's to their fair share of dramatic victories amid way too many losses. While injuries took their toll on this year's A's club (again), we are optimistic at the glimpses we've seen into what could be the future.